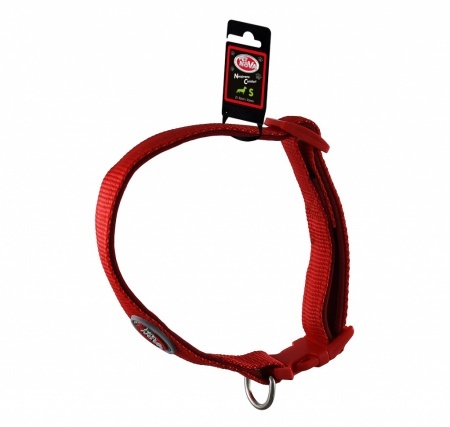 Adjustable nylon collar with NEOPRENE COMFORT neoprene undercoat S size - 1,5cm (25cm-40cm), red. 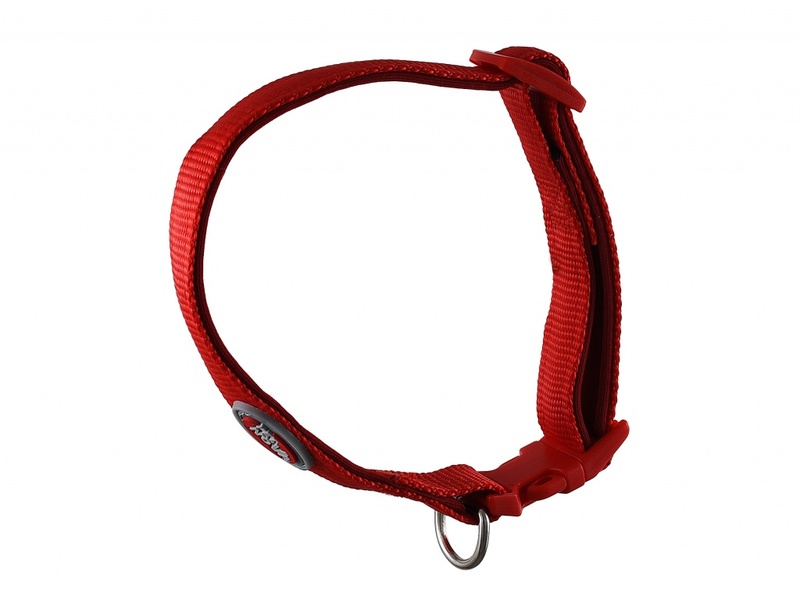 PET NOVA collars are guarantee to offer your pet a comfortable walk. To improve the comfort of use, the collar was lined with neoprene. Why do we use the Neoprene Comfort system? Neoprene, or neoprene foam, is the material used e.g. in the production of diving suits, a material that protects the diver from heat loss. Collars lined with this material adhere directly to the dogs fur, making it comfortable for there necks. Neoprene in contact with the skin gives the impression of a warm material, additionally it prevents scratches and chafes. In a simple way we can adjust the collar, and then fasten it quickly thanks to the latch. Depending on the size of the dog, we offer 3 sizes of collars.